Well we all know how hard it is to find a good selfie stick because there are so many cheap ones on the market to sift threw. It’s enough to make your head spin! I know mine heads still spinning from trying so many different ones! Let’s just say there not all created equal!! I was mailed the Tech Savvy Selfie Stick (in pink! Yay!) to try so I could review it and post my own personal feedback. I can honestly say it’s a quality product! Not only am I loving the color choices but this selfie stick is so easy to use its honestly stupidity proof! Even your kid or grandmother could use it! Also, I’d like to point out that when this stick is fully extended its still very sturdier and doesn’t bow! It comes with a matching clip to attach it to a purse strap, the loop of your pants or wherever is most convenient for you! It’s easy to get your smart phone in it and even fits the larger smart phones like the Note 4 or the iPhone 6 Plus! If your interested in purchasing the Tech Savvy Selfie Stick you can find it here! Bluetooth compatible with IOS and Android phones. I was asked to review the 2nd Look Book Box! To be honest I’ve never heard of a service like this before but I know that I love gently pre-owned books! So I was of course extremely interested! I’m all about recycling, providing my child with somethings educational and saving money is always a favorite topic of mine! Well, I came home today to find a really big box at my front door that was pretty darn heavy. When I got it inside and opened it I was amazed at how many children’s books were included in the package! The box was packed full to the top with enough children’s board books to literally fill the book shelf in my babies room! All the books are gently pre-owned but none had any writing or tears on or in them. A lot of the books were the type that has textured pages with fury material, pop ups or squeakers in them to keep my baby engaged in story time. 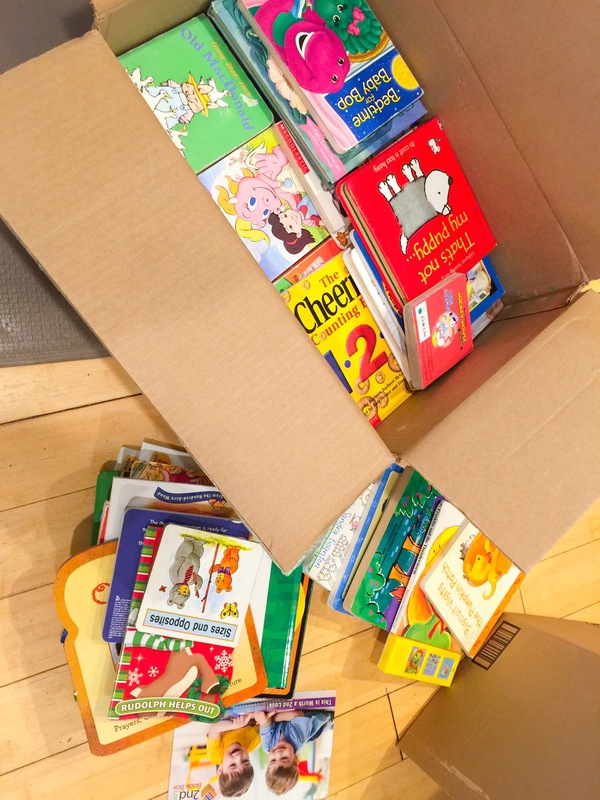 The books you get in your package are a mixed bag meaning there chosen by random so your box will include some Christmas books or maybe Hanukkah or even Easter books BUT you can just pull those out if you happen to not want those. My box contained about 3 Christmas book and one (maybe 2) children’s bible. We’re a Jewish family so I gave those away. Our box did contain 1 Hanukkah book. But rest assured you’ll find more than enough in your box to keep you and your little one busy with story time for quite a while so you’ll definitely get your money’s worth!! My box was sent as a sample so I could post feedback and I can say I’m very impressed with this service! Before I would go to my local Goodwill and pick threw pre owned books to find the good ones but this is so much easier & it’s very cost effective too! I can’t believe I can just have children’s board books mailed to my door step! If your interested in ordering a box the cost is only $29.99 (marked down from $39.99) & that price includes shipping cost which is a pretty big deal because the box is pretty darn heavy! My guess is they must ship using media mail because I can’t see it being possible to ship any other way or the shipping cost would outdo the cost of the entire box making it not worth it for the company. I checked my mail today to find a really big package from Amazon today and Helena hit the jackpot with this toy! Wow! I’m really impressed with this one! Priced at only about $35.95 minutes this is an awesome bargain! Although ours was mailed to us as a product sample so we could assemble it, check it out (literally! LoL it has a toy cash register! ), and post feedback about it! It includes the cute little shopping cart and this box actually includes as many as 68 pcs!! The box recommends it for ages 3 and up but I see no reason a younger kid couldn’t enjoy this toy too. The only small parts I noticed were the plastic bolts that hold the shopping cart so I made sure I tightened them really well so they won’t come off. If you’re interested in this cute little supermarket place you can find it HERE! Oh, what a luxurious face mask! It’s made of a gorgeous satin material and it’s extremely comfortable to wear making it perfect for an at home spa treatment. I love wearing mine while soaking in a cozy bubble bath. This mask showed up at my door as a product sample to try so I could post feedback on it! It was packaged in a really nice gift box and even came with a free pair of earplugs, which came in handy I might add! I’m a mommy of a toddler and boy does she keep me busy! That’s why I take my at home spa time very seriously and only use the best products I can find! What I love about this mask is that even though it may look like a regular face mask at first glance the secret to it is the copper fabric. It’s been proven to stimulate the collagen production, which is very important when it comes to preventing those pesky fine lines, and wrinkles that we’re all trying to do away with! I can’t report on that aspect of it yet because it takes at least 4 weeks to notice a difference and I’ve only used my mask about a week. I’ll have to edit this review later and update you with my progress! As of now, I do recommend it! Can’t go wrong at only $12.80! The mask alone is worth that even if it didn’t have the anti-wrinkle copper fabric or the earplugs! It’s a very quality mask and would make an excellent gift! If your interested in purchasing this copper fabric sleep mask you can find it HERE priced at only $12.80 (*marked down from $39.95*)! GIVEAWAY Alert! Enter to win the Smart Weight Digital Kitchen Scale! Hi everyone! Today I decided to host a giveaway! I know everyone loves free stuff as much as I do so I’m giving away this beautiful digital kitchen scale to one lucky winner! The Smart Weight Digital Kitchen Scale is gorgeous, sleek and will fit in beautifully in just about any style kitchen! To enter just visit the official contest page HERE! #UltimateSportsPro #running #jogging #CouponinCommunity #Sale #Couponing Attention all couponers! Hurry on over to Amazon to take advantage of this hot deal before it’s gone! This would make a great Christmast gift or just keep it for yourself! This running/jogging belt is on sale for only $16.95 (marked down from $37.95) AND there’s a 25% off coupon code you can stack with it! Unfortunately I had a really bad experience with it! This is the stickiest screen protector I’ve ever encountered!! When I say stickiest, I truly mean extremely, crazy, super duper sticky! It’s very messy and I actually had to rip this thing off with a really hard jerk to remove it! I was mailed one as a free sample to test and review. Originally I was excited to get a free screen protector for my toddlers Amazon Kids tablet and this would have fit perfect but sadly I had to throw mine in the trash because it was ruined! I’ve never encountered a screen protector that I only had one chance to apply it and it can’t be peeled up and reapplied. Oh well, I got a free bottle of screen cleaner and a little cleaning cloth out of the deal. Maybe you’ll have better luck. As for their claim of anti-bubble… I don’t even know what to say about that because their was nothing anti-bubble or wrinkle resistant about it! I’m glad I didn’t spend money on this and NO I wouldn’t recommend it! If your interest in purchasing this lovely screen protector for your Amazon Fire you can find it on Amazon HERE! First off let me say I’m extremely impressed with the price! 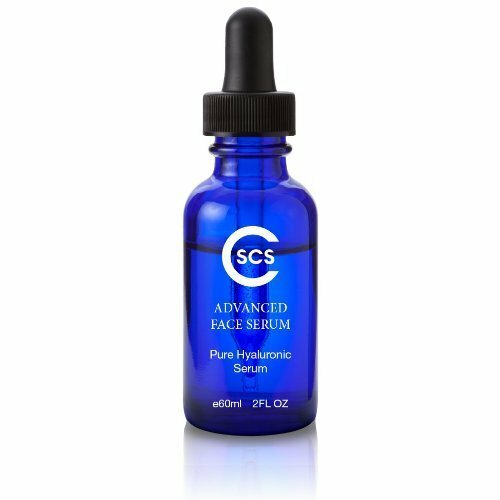 I’ve reviewed several Hyaluronic Acid Serums and this one is by far a steal of a deal! You get an entire 2 oz bottle for only $13.95!!! When I got mine in the mail the first thing I noticed was the perfectly silky texture that I love so much. I’ve tried a few HA products that were actually watery which I’m not fond of. The reason I love this texture so much is because just one drop is enough to cover your entire face an neck because it’s so slick and it doesn’t leave any kind of sticky residue. 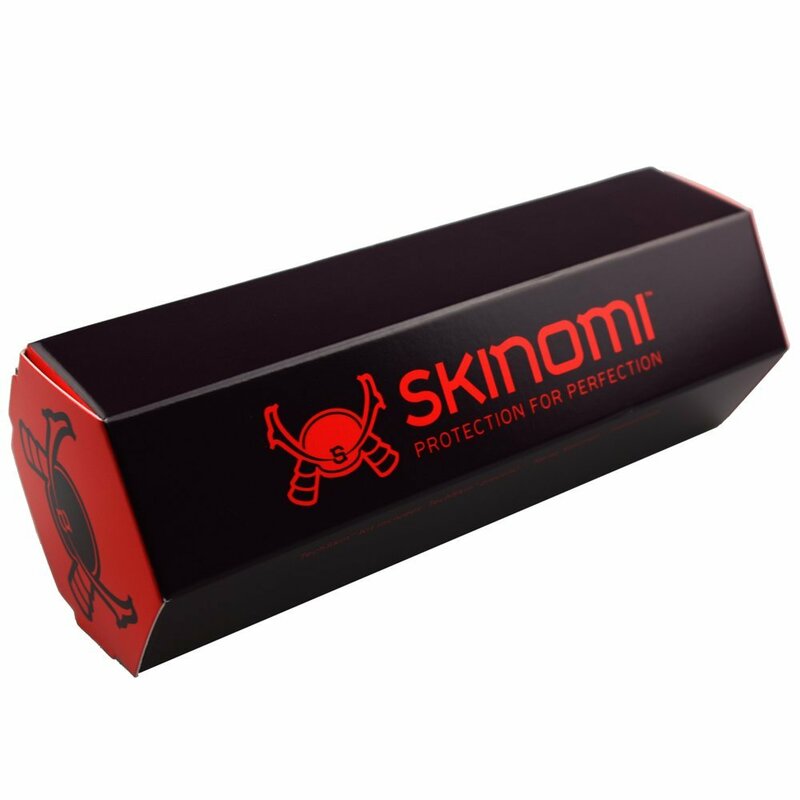 It comes in a beautiful dark cobalt blue bottle to protect the serum from the light. If it wasn’t in a dark bottle to prevent light from getting to it then it would degrade the potency of the product. After using this serum day and night I noticed a drastic difference in the fine lines around my eyes and the edges of my lips. The beauty of HA serum is that it works right away and you can see the difference immediately which I LOVE! My bottle was mailed to me as a sample so that I could try it for myself and review it. After trying it I’m thrilled with it and will be ordering it again! I really like that it’s pure HA serum, it’s a nice size bottle; it’s made in the USA, and has the perfect texture! If you’re interested in purchasing this product you can find it on sale at Amazon for only $13.95!